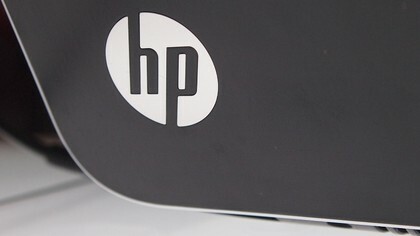 Following on from the original HP Envy 14 Spectre, HP has today announced a next-generation Ultrabook – which just appears to be called the HP Envy Ultrabook. 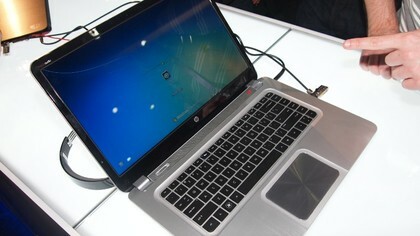 There are 14-inch and 15.6-inch versions of the Envy Ultrabook, but there’s also another model called then Envy Sleekbook – that’s because HP has invited AMD to the Ultrabook party…only that Intel owns the Ultrabook trademark. 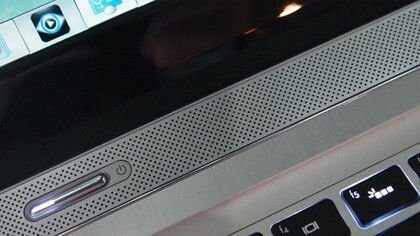 We’ll look at the Envy Sleekbook separately, but here we’ll look exclusively at the Ultrabook, which starts at £649. 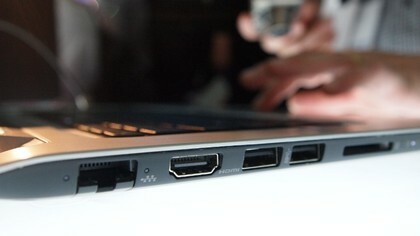 The new Envy Ultrabook models are 19.8mm tick and weigh 1.79 kg. There will be several variants of the Ultrabooks (not to mention the two screen sizes) and HP says we can tell you that they will ship with "2nd generation or 3rd generation Intel Core processors". The units boast up to eight or nine hours of battery life, which, isn’t out of the question for one of these – we’ll be interested to see how it stands up to our testing when it arrives in our labs. We’re interested primarily because the main storage inside these units is a traditional hard drive – 500GB. There is a flash drive to help with the quick boot and resume (manufacturers need to have this to call their laptops an Ultrabook) but of course this is thirstier in terms of power. HP talked a lot about design to us at the launch event we attended today, but while the HP Envy Ultrabook is certainly smart, we wouldn’t say it really blew us away. 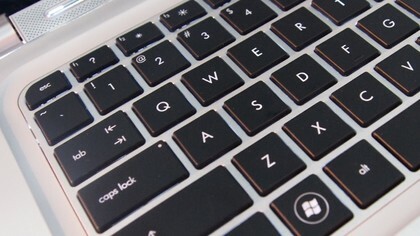 The keyboard and trackpad seem great to use, but the keyboard is extremely similar to that on the MacBook Air. 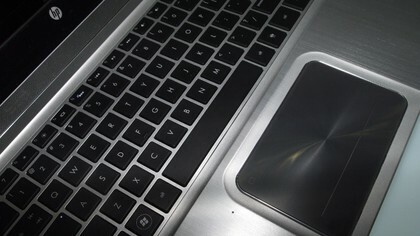 The trackpad is a tiny bit too glossy for us, but this shouldn’t detract in use. As you can see, the array of ports isn’t too shabby, with Gigabit Ethernet, 2 x USB 3.0 plus one USB 2.0, plus an SD Card Slot and HDMI too. The Envy Ultrabook is clearly well specified – there’s plenty here for the £649 price point and we’d go as far to say that these will be among the very best value Ultrabooks on the market when they go on sale. 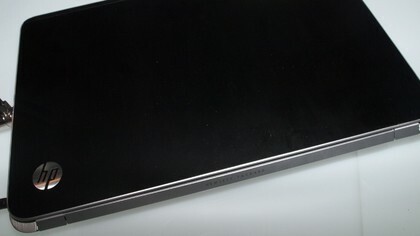 It’s clear that manufacturers have strugged with one component in their Ultrabooks – the flash SSDs. Putting in a standard hard drive seems to whack the price down considerably – and the Envy Ultrabook clearly shows that here. The Envy Ultrabook UK release date is June, although the Envy Ultrabook US release date is May – check out the full specs below. 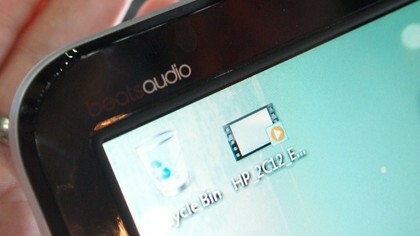 Configuration for starting price of £649/$749.99; available May 9 in US. 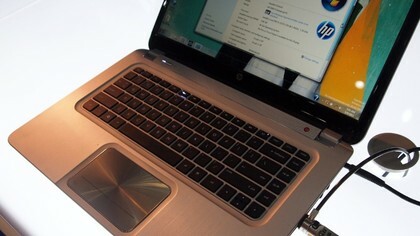 Configuration for starting price of $799.99; available May 9 in US.